You can't always get what you want. That's the reality of life, especially when you're talking about the ultra-exclusive Pagani Zonda. One buyer in England, reported to go by the name Peter Saywell, apparently wanted to get his hands on the limited-edition Zonda Cinque, but after all five sold out, he commissioned the factory in Modena to create the special one-off you see here. Instantly discernible from other Zondas by its unique paint job and four-abreast tailpipes, the Zonda PS reportedly packs a 650 hp version of the Mercedes AMG V12 powering its stablemates - some fifty horses more than the Zonda F but a little shy of the Cinque and track-bound R versions - driving through the sequential transmission developed for the Zonda's highly anticipated successor. With its exclusive specifications, the Zonda PS will be worth even more than other versions of the Pagani supercar, which are already trading well over their list prices on the open market. Check out the images in the gallery below and follow the jump for a pair of videos courtesy of LMTV.fr and Top Speed. 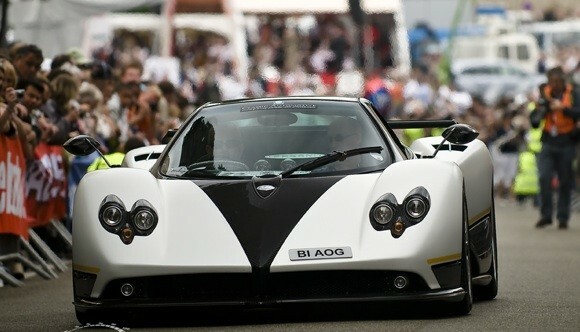 Bloody Rare: One-of-a-kind Pagani Zonda PS [w/VIDEOS] originally appeared on Autoblog on Tue, 30 Jun 2009 20:01:00 EST. Please see our terms for use of feeds. Rendered Speculation: Mazda preparing sub-Miata MX-2? We've seen it happen a million times: a small car is successful, then the automaker ruins it by making it larger and heavier to satisfy what it thinks the average buyer is after. Fortunately, that hasn't been the case with the Mazda MX-5, which - retractable hardtop option notwithstanding - the Japanese automaker has always been careful not to spoil the core elements of the MX-5. So we'll take reports that Mazda is preparing an even smaller MX-2 with a grain of salt. But a small one. According to the speculation, a future MX-2 would come in noticeably smaller than the full-size Miata, and therefore require smaller engines. Something between 700cc and 1.6-liter engines are reportedly in store, with a turbo at the top end delivering 160 horsepower. No word on layout, but we'd grudgingly expect a front-drive set-up when the purported MX-2 is unveiled as early as 2012. 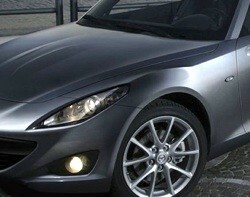 Rendered Speculation: Mazda preparing sub-Miata MX-2? 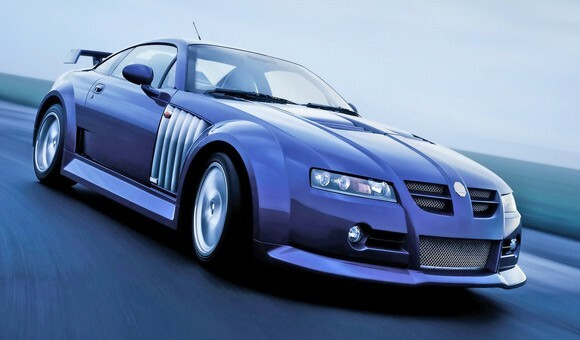 originally appeared on Autoblog on Tue, 30 Jun 2009 19:28:00 EST. Please see our terms for use of feeds. The Wrangler Unlimited and H3T live on the fatter part of the buying curve, but any time a Jeep is summoned to the ring, the other vehicle is inevitably the challenger. Even though the H3T is still relatively new to the world, it came time to find out if it was ready to stand up and fight for its place. Calling it "the most disappointing Honda Consumer Reports has tested in a long time," America's most influential product testing magazine has given extremely poor marks to the Japanese automaker's new Insight hybrid. Few names resonate more with the Lamborghini faithful than Valentino Balboni, Lambo's long-term test driver who's honed every model to roll off the line since 1973. In an ultimate tribute to Balboni, the Italian supercar manufacturer has created this: the Lamborghini Gallardo LP 550-2 Valentino Balboni. BMW threatening to oust Lexus as #1 luxury automaker in U.S.
Daily U-Turn: What you missed on 6.30.09 originally appeared on Autoblog on Tue, 30 Jun 2009 19:20:00 EST. Please see our terms for use of feeds. In a press release announcing the cars it would be taking to this year's Goodwood Festival of Speed, Jaguar's own Mike Cross has officially confirmed the coming of the Jaguar XKR Goodwood Special. We noted before that it would be louder and faster and detailed in satin graphite, but now we find out it will get a lower ride height over 21-inch wheels and - are you ready? - "a unique Lime Green paint scheme and XKR exterior graphic" as shown above. Alrighty, then. That hard-to-miss car will join a few more trailers of Jaguar goodies, including the 225 mph Bonneville XFR, a 1957 Long Nose D-Type, a Le Mans winning C-Type, and the one-of-a-kind Jaguar XJ13. Goodwood is just around the corner (July 3-5), and you can read all about Jaguar's plans in the press release after the jump. 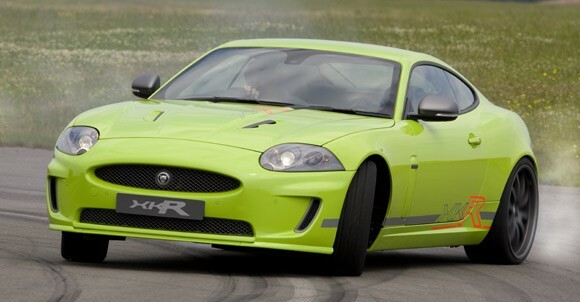 Jaguar officially announces XKR Goodwood Special... in lime green originally appeared on Autoblog on Tue, 30 Jun 2009 18:58:00 EST. Please see our terms for use of feeds. It's the end of an era for open-wheel racing in America as Indy chief Tony George has stepped down from his post. The long-time president of the Indianapolis Motor Speedway, George was widely seen as the impetus for the 1996 split in Indy racing that created the Indy Racing League (IRL) and the rival Champ Car series (formerly known as CART), but he was also instrumental in fostering the merger of the two championships into the new IndyCar Series over which he's presided. During his nearly two-decade tenure as the head of the famous race track, George also brought NASCAR, Formula One and MotoGP to the speedway for the first time, vastly expanding the calendar of events at the iconic venue. However, elements within the Hulman-George company that controls the business were concerned with the amount of resources their chief executive put into the reintegrated IndyCar Series and recently asked him to reorganize the company, but Tony evidently decided to step down instead. He'll be focusing his energies on the Vision Racing team which he fields in the series, while the job he vacates will be split into two: CFO Jeffrey G Belskus will take the reins at the speedway, while chief legal counsel W Curtis Brighton will oversee the operation of the series. 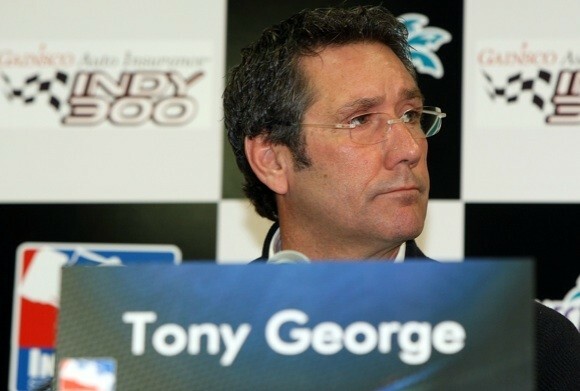 BREAKING: Indy chief Tony George reportedly resigns originally appeared on Autoblog on Tue, 30 Jun 2009 18:28:00 EST. Please see our terms for use of feeds. The final days of MG were disastrous and disastrously expensive. The British government finally has an accounting of what happened, but it only adds to both sides of the disaster: the report took four years and £16 million ($26 million U.S.) for CPA firm BDO Stoy Howard to compile. For now, various government figures are upset about the delay and the cost. BDO is reported to have spent more than £130,000 ($214,000 U.S.) on hotels and expenses, leading to charges of the firm "living like kings" while MG's workers were living on government support. The report hasn't been released yet, so no one knows what it says. When it is made public, if the MG story continues as it has, what's actually in the report will probably be just as hard to swallow as the lead-up to it. Findings from inquiry into demise of MG Rover finished... only took 4 years and $26M originally appeared on Autoblog on Tue, 30 Jun 2009 18:01:00 EST. Please see our terms for use of feeds. 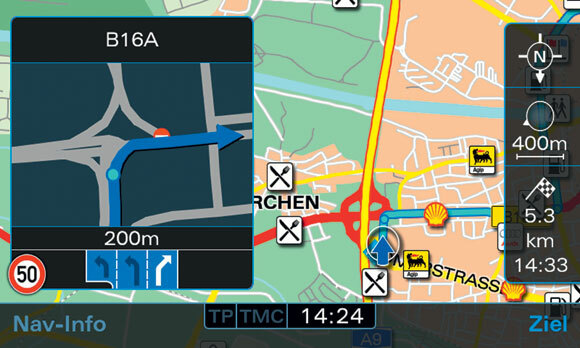 Audi's Multi-Media Interface, which is arguably the best of the various all-in-one graphical user interface systems favored, has just got better. According to Audi, resolution on the system's 6.5-inch screen is getting bumped up to 800 x 480, route calculation will happen faster with a 600 MHz processor, and you can scroll along the route - not just vertically and horizontally - and get speed limit data on highways. The new A3, TT, and R8 will be the first to benefit from next-step MMI when they arrive in Stateside dealerships in the autumn. U.S. pricing hasn't been announced yet, but you can read about all of the next-gen system's new bells and whistles in the press release after the jump. 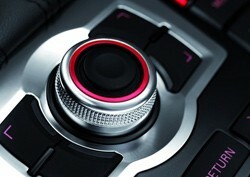 Audi updates MMI system for 2010 A3, TT and R8 originally appeared on Autoblog on Tue, 30 Jun 2009 17:28:00 EST. Please see our terms for use of feeds. Further proof that you can literally fashion anything if given access to enough interconnecting Lego bricks is this Triumph Daytona 1200 motorcycle. The machine has apparently been on display for quite some time at Legoland Windsor in Berkshire, England and is obviously assembled from thousands of individual pieces. We especially like the detailed engine, which is complete with linkages for the carbs and throttle cables. As cool as this creation is, how much better would it be with a fully functional Lego engine? Of course, having a full-scale building-block motorcycle would also require a matching helmet. May we suggest this one? Click past the break for a video of the LEGO Triumph Daytona on its display stand and click here for more automotive-themed Lego madness. 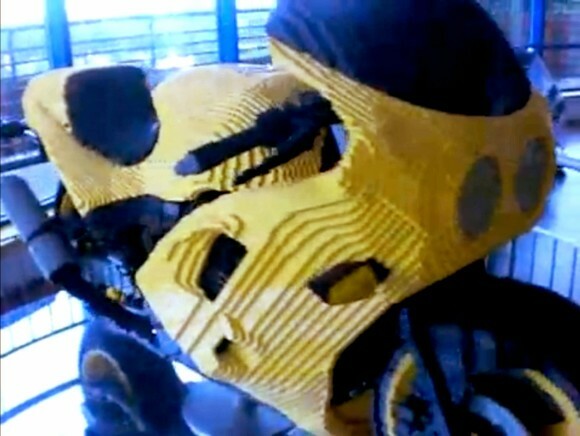 VIDEO: Triumph Daytona motorcycle assembled from Lego bricks originally appeared on Autoblog on Tue, 30 Jun 2009 16:55:00 EST. Please see our terms for use of feeds. Porsche is profitable and it owns a big chunk of the far larger Volkswagen, yet cash seems to be in short supply. Automotive News is reporting that the world-renowned luxury sports car maker's 1.75 billion euro ($2.45 billion USD) loan request from German state bank KFW has been rejected, leaving Porsche to search elsewhere for funding. Porsche secured 10.75 billion euros ($15.1B) in financing from banks in March to feed its 9 billion euro debt ($12.6B) mountain, but it's looking for alternative means for financing its cash crunch. Porsche has already looked outside of Europe for funding to handle its mounting debt, as it worked with the Arab emirate of Qatar to secure a sizable stake in the company. VW, smelling blood in the water, reportedly gave Porsche an ultimatum, offering up 3-4 billion euro ($4.2-$5.6B) for 49% of the sports car maker in exchange for not forcing the repayment of a 700 million euro loan ($983M) in September. Porsche responded by saying that ultimatums don't belong in the 21st century. Unfortunately, bankruptcies are all too common in the new economy, so the proud German company may have to dig a bit deeper to keep themselves from falling into the financial abyss. Porsche loan request rejected by Germany's state bank originally appeared on Autoblog on Tue, 30 Jun 2009 16:27:00 EST. Please see our terms for use of feeds. Interested dealers and consumers may want to wait until all of the detailed issues that must be addressed in the implementing regulations are resolved. If a dealer chooses to structure a transaction before the final rule is issued, they will bear the risks associated with later demonstrating that the transaction meets all of the specifications of the final rule. Dealerships who violate the official rules and regulations may be subject to fines of up to $15,000. Still have questions? Click here to see the complete list of FAQs straight from the NHTSA. 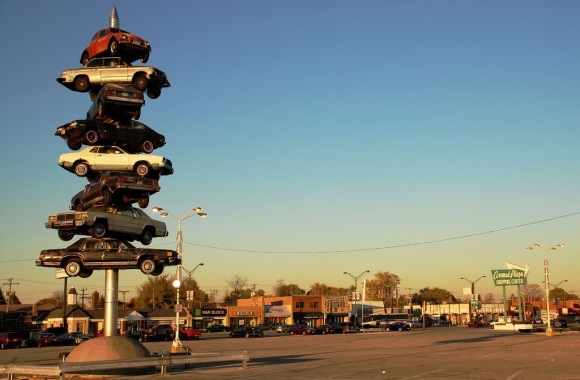 Cash for Clunkers to officially begin July 23 originally appeared on Autoblog on Tue, 30 Jun 2009 16:00:00 EST. Please see our terms for use of feeds.